At the clinic. At the pharmacy. At the gym. There are just some of the places where our geo-targeted mobile ads are engaging healthcare professionals and consumers with contextually relevant healthcare messages. Our in-house creative and mobile expertise draws people in and delivers our clients’ messages in interactive, enjoyable ways. From delivering and executing a complete creative strategy to collaborating with our pharma clients’ agencies of record, our approach delivers serious value and impact. 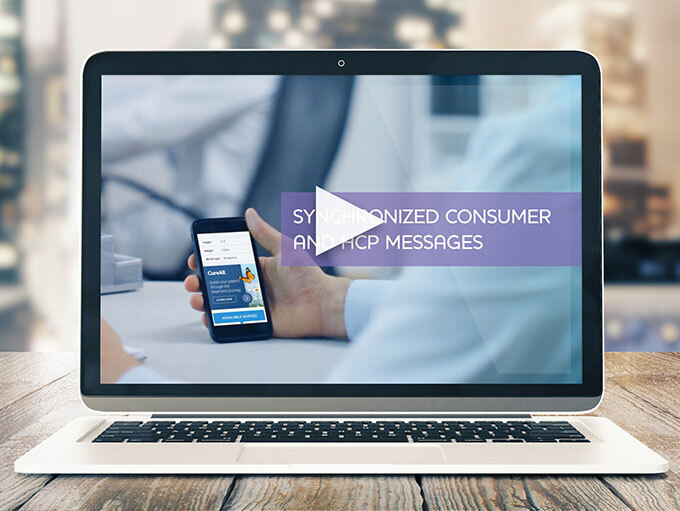 This short video offers a glimpse into the kinds of data-driven mobile advertising experiences we’re developing for our clients. Check it out! To explore examples of our interactive, next-generation mobile ad formats, visit our demo site.